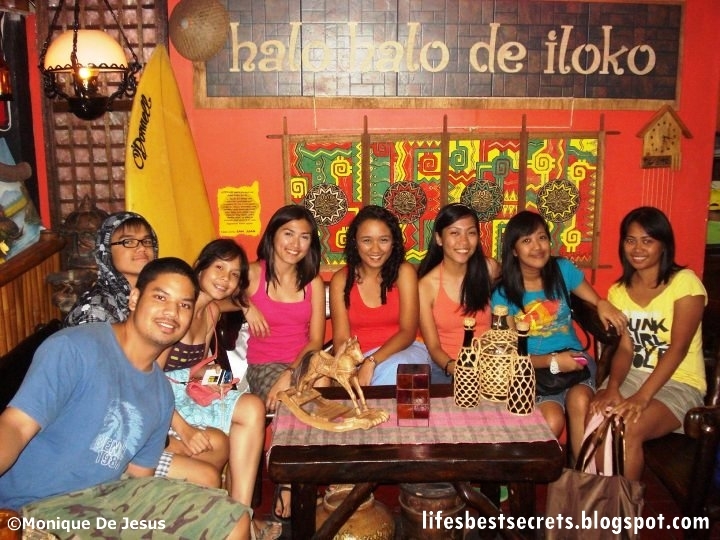 I suddenly felt the urge to go back to La Union to revisit this cozy cafe called Halo Halo de Iloko and take pleasure once again on its easy delightful delicacies. Summer last year when we endured the 6-hour road trip to this infamous surfing spot in the Philippines, La Union, and we were in for a treat, not just because of the waves and surf boards (blog post on La Union surfing trip soon), but because of the food as well. The friend of Ayn's friend, JP, (oh connections!) who lives there took us one night to this small, vibrant and summer-inspired cafe for some halo-halo. 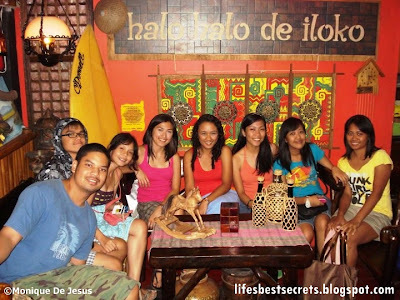 Halo Halo de Iloko is located in P. Burgos cor. Zandueta Sts., San Fernando City, La Union. The halo-halo was indeed wonderful. 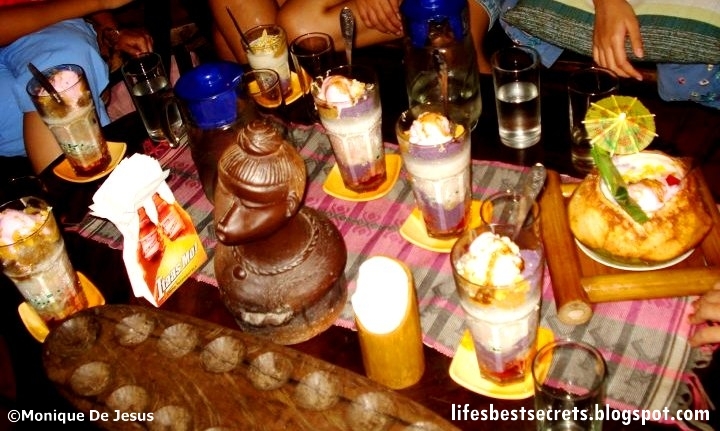 It is seldom that I get to taste a halo-halo that I would really like, considering that this dessert is our very own. But Halo Halo de Iloko is more than just creamy and tasty halo-halo, they have more to offer to satisfy a tourist palate's craving for a unique local food. I equally loved the empanerados and their palabok. 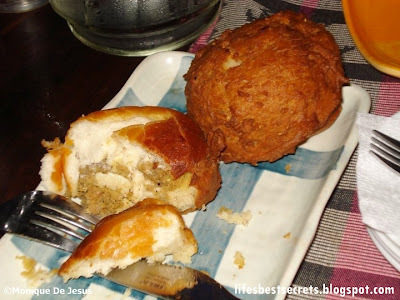 Empanerados has a name so hard to recall, but a taste you would not forget. It is served hot and very soft. The outside is a bit crunchy, while the inside is moist, soft and has a filling of meat, salted egg and what-not, quite similar to empanada (thus the name). Their palabok, to my surprise, can compete with the best palabok in the world for me, that which can be bought in our public market in Sta. Ana. It is as good.